On Saturday the 4th and Sunday the 5th of November, Joy of All Who Sorrow Church in Atlanta, GA will host its parish feast and a conference on the theme "100 Years of the Russian Local Council of 1917-1918." All are welcome and entry is free of charge. 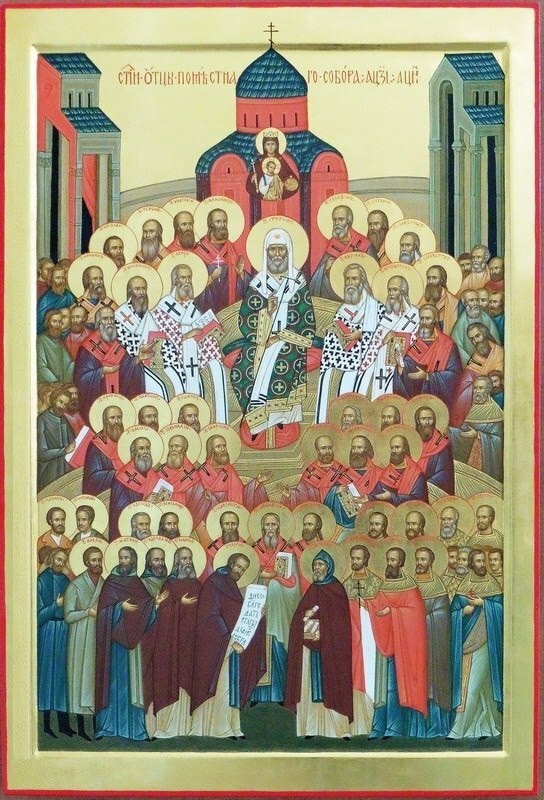 Guest-speakers include Metropolitan Jonah (Paffhausen) on "The Council of the Russian Orthodox Church of 1917-1918," and Deacon Andrei Psarev, Assistant Professor of Holy Trinity Seminary n Jordanville, NY, on "A Crash Course on the History of the Russian Church," "When a Layman May Disagree with a Bishop: Inter-Council Presence as a Phenomenon of the Russian Church," and "Major Points in the History of ROCOR." Round table discussions will take place during sessions. On Sunday, November 5, Divine Liturgy will be celebrated by Metropolitan Jonah, followed by festal meal. Holy relics will be present at the church for prayer and veneration. Among them: wood from the Holy Cross of the Lord, a particle of the veil of the Mother of God, relics of St. John the Baptist, the Twelve Apostles, the Holy Apostle Paul, and St. Mary Magdalene. ​Conference talks are in English, with synchronous translation in Russian. Charity sale – handmade Orthodox products and souvenirs from Russia, Greece, and Kenya – will be available for sale. ​Registration to the conference is not required, but seating is limited. Please register to the Saturday conference session to reserve a seat, to receive a special conference welcome kit, and more. For more information, visit the parish website here or contact Priest Eugene Antonov by phone at (770) 886-7111 or e-mail: Conference@JoyOfAllWhoSorrow.info.